As if there weren’t enough uncertainty in the MBA application process, now there’s one more: Is an online MBA worth it? Will I benefit equally from an online business degree vs a traditional on-campus program? Here’s the good news: As the popularity of online business degrees increases and programs become more well-rounded, employers have begun to change their negative perception of online learning. In fact, many companies don’t even ask if a job applicant’s degree was earned on-campus or online. Another thing: Most experts agree that it’s not necessary to divulge which program you attended on your resume. If a company wants to know, they’ll ask. So back to our original question: Is getting an online MBA worth it? 1. Do I need an MBA? We assume you believe the answer to this question is yes or else you wouldn’t be researching your program options. But we want to remind you that being undecided in your career or wanting a salary increase are NOT the right reasons to go to business school. Reflect on how an MBA will impact your short-term and long-term career aspirations in order to determine if you even need a business degree in the first place. 2. Do I need to attend a top-ranked program? Since you just reflected on your aspirations, now you can evaluate whether or not you need to attend a “brand-name” school. As a rule, if you are aiming for a higher-up position (e.g., CEO), you may benefit from attending a school with a strong reputation. Not only will the name of the University look dazzling on your resume, you may also have access to better career services that will help you land your dream job. But before you get too amped, remember there’s always a downside... Reputable universities also cost way more. 3. What is my return on investment? Cost of your degree ÷ Projected salary = ROI. For accurate calculations, first contact the financial aid office to ask about job placement and starting salaries. Then, total the cost of tuition, student loan interest, and other expenses. Divide this number by the projected annual salary in order to determine how many years it will take you to earn back your investment. This number will tell you if you should attend a top school or if an online program is a better financial decision. 4. What are the pros and cons? We’re glad you asked. Read on. The biggest perk with getting an online business degree is that you don’t have to completely up-root your life. Many online MBA students maintain their jobs and avoid relocation and commuter costs. On top of that, the class schedule is flexible. Even though there will be the occasional video conference call, the majority of lectures are recorded seminars, and most class interaction is done through message boards and emailing. By attending a reputable online program, you will follow the same MBA curriculum as the on-campus programs. And not only is the curriculum the same, the faculty often is as well. Don’t take our word for it though. Be sure to check in with the schools you are considering. And while you have the opportunity, ask if online students have access to the same alumni network and career counselors. Being able to attend an MBA program online expands the horizons of many students. For those who aren’t able to relocate or can’t afford an on-campus experience, attending a reputable institution used to be out of the question. Now, with the ability to study remotely at a lower cost, accredited MBA programs are more accessible. Online business degrees are just as credible as on-campus degrees so long as they are from an accredited university. Online programs cost less than their on-campus counterparts. Period. Most traditional MBA programs are a full two years. However, with an online course you have the option of taking an accelerated program that can take just 14 months. Being on-campus has undeniable benefits. From peer-to-peer discussions to lecture participation to invaluable presentations, the perks of having an interactive experience can be tough to beat. Even though you are sure to meet new people through an online degree, the networking opportunities are much greater on a school’s campus. → Greater Need for Discipline. Getting your degree online means you must keep yourself accountable for getting your work done. No matter how busy work and life gets, you must always find time stay on top of lessons, study, and engage with other students online. Because of this, many students find the structure of studying on-campus to be a better fit for their learning style. While it is true that you can participate in an accelerated program (as we mentioned in the Pros section), online degrees often take longer. 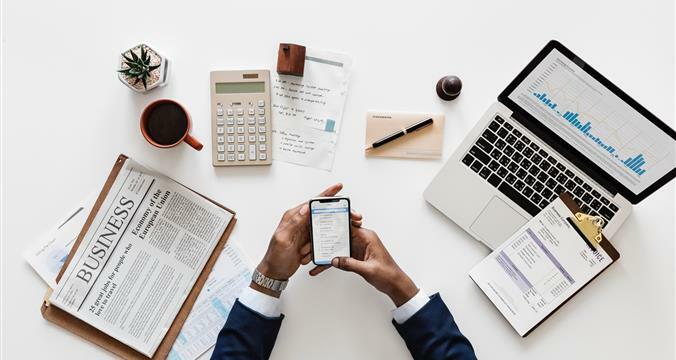 Because online MBA students often juggle a full schedule outside of school, it is often in their best interest to take things at their own pace in order to ensure full comprehension. Plus, longer programs tend to look a bit better on resumes. Before deciding to pursue an MBA online, get in touch with the school regarding internship opportunities. Why? Because not all online programs offer them. Remember: Internships lead to jobs. Unless you already have a gig lined up or you can afford to be unemployed, do some research on internship opportunities before you decide which program is best for you. → Can’t Compete with Top Universities. While it is true that online degrees from accredited universities are just as credible as most on-campus programs, the reality is that they can’t compete with the best of the best traditional programs, e.g., HBS, Wharton, and Kellogg. If your long-term goals require a degree from one of these schools, you’ll have to go on-campus. Still think the online business degree is the best route for you? Great! One decision down, many to go. Here’s the next big thing you need to consider: Which online MBA programs you’d like to apply to. The US News Rankings will come in handy here. Weigh each program on its ranking, tuition, and school type before making your final decision. To learn more about these schools, follow their profiles on Admit.me for student demographics, admissions statistics, and more.